Every night, over 14,500 women experience homelessness in Los Angeles County, most without shelter or a safe place to sleep. In response to this growing crisis, The Midnight Mission is opened a Crisis and Bridge Housing center focusing on women at its main headquarters on Los Angeles’ Skid Row. 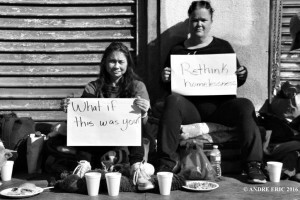 Over the past three years, female homelessness has increased by 55 percent, which is five and a half times higher than the rate of men. One of the more shocking statistics is that over 90 percent of those women have experienced physical or sexual assault. The Women’s Crisis and Bridge Housing Center is intended to work in partnership with other premier service providers serving women in the community, including the Downtown Women’s Center. 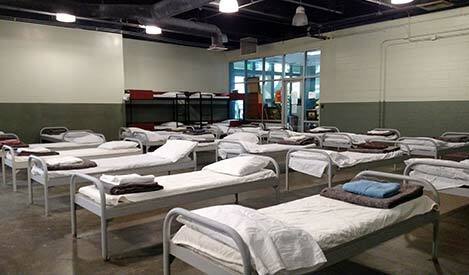 The Center at Midnight Mission includes on-site medical and mental health care, temporary housing, meals, case management and service triage, access to our on-site school, computer learning center and job and career counselor and connections with housing resources to quickly end their episode of homelessness. Those who come to the Center for help will be assessed and effectively and efficiently connected to permanent housing whenever possible, or triaged into the most appropriate service-enhanced housing available. The Center will work in close collaboration with the Los Angeles Homeless Continuum of Care’s Coordinated Entry System (CES). Would you like to donate to our women’s program? You will find our comprehensive, easy to read wish list on Amazon HERE. Please be sure to use Amazon Smile to complete your purchase and make The Midnight Mission your charity of choice.